In Northern Liberties, N. 3rd Street is already a developed area home to a number of quality establishments like The Abbaye and North Third. 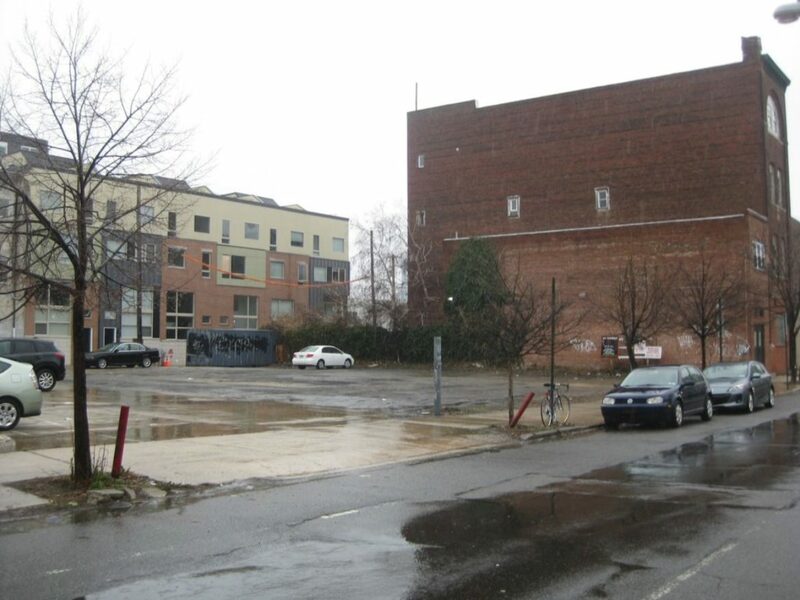 Just south of those at 613-25 N. 3rd St., developers are looking to get in on some of the few remaining developable locations in this area by transforming a parking lot into nine single-family homes. It's not the first time such a project has come up for this site. Back in 2009, there were plans on the table for nine homes here. Then in 2012, the Northern Liberties Neighbors Association approved plans from new developers for nine homes designed by Canno Architecture. One of the homes were listed on the market for just under $450K. But since then, the property has changed hands. New owners, Temple Reserve, a medium-sized company that seems to be breaking out big from the Temple area, purchased the site last July and appeared before the NLNA zoning committee in March with new plans for nine single-family homes, envisioned in a different way (rear-loading two-car garages) and designed by Steve Maffei at Abitare. Some newer homes nearby on Bodine St.
“That's complicated,” said Larry Freedman, NLNA zoning chair about the story behind this site. The NLNA had met with former developers four times before they reached a design agreement. Now it looks like a string of reappearances may be on the horizon again as early plans from Temple Reserve presented homes that were a little too tall. Since that area is about to be remapped as a single-family home zoning district, according to Freedman, a four-story building is okay, but the height has to be close to the code's 38' limit. “We need to find a happy medium there,” he said, referring to allowing for four-stories but not going too high. So goodbye former project, hello new one. We'll let you know as this process unfolds. If this proposal goes through, it will mean nine new homes here to join the five that are soon coming to 3rd & Brown.